Written by LeapingDog on 28 February 2015 . 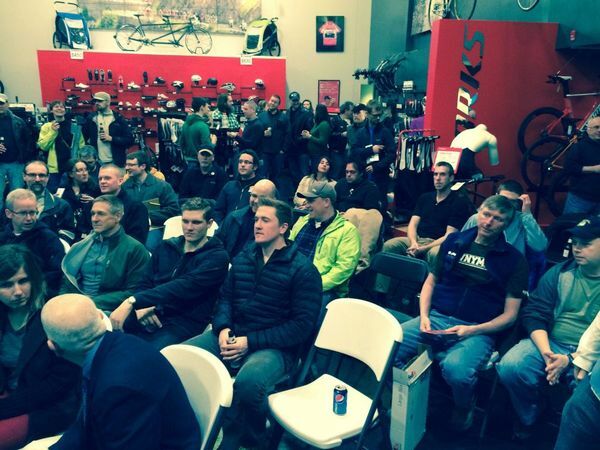 On Thursday March 19, WNYMBA is sponsoring a Spring Kickoff Social Party at Tom's Bike Shop in their spacious training room. 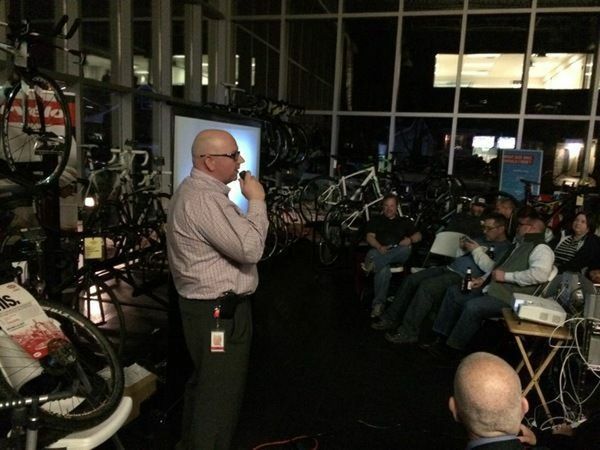 The purpose of the event is to get everyone psyched for all the 2015 MTB season! This event is for fun, and should be interesting, and we plan to just hang out to party after. Tom’s is generously supplying adult refreshment delicious food & snacks – so bring your appetites. We will be giving away plenty of swag prizes during this event & good music will be playing. The format for the event is 5 minute speakers (1 hour max for speakers). It is fantastic for anyone interested in mountain biking to learn about all the fun times you can have this year. We also plan to have speakers talk about the latest and greatest cutting edge bikes, TJ will attempt to break his world record for changing a Tubeless tire, and much more... We will have a speaker and microphone set up, and a slide projector. 11. Fun Event – “World Championship of Tire-Changing” – TJ Zydel vs. ? Written by Jon Sundquist on 15 February 2015 . Since you are reading this, the headline is redundant, but couldn't wait to add the newest article. As you can see, you can also comment on this with Facebook comments, and promote news from the website to all variety of social network. Hope you like the new layout, and spread the word! Written by Tallboy on 31 January 2015 . We're skipping our regular meeting format in February for a night of serious socializing at "Handlebar", Buffalo's only bicycle-themed pub, http://handlebarpub.com/ . This recently-opened downtown bar at 149 Swan St. features cool bicycle stuff on the walls, tables made with old bike parts, "unicycle" bar stools ... and best of all, they actually LIKE bicycle people! WNYMBA members, non-members, spouses, significant others, it doesn't matter - everyone is welcome. Early birds will be able to take advantage of some free appetizers, courtesy of owner Sarah Schneider and her staff. Your first beverage will be discounted and you'll be able to select the rest of your food and drink from their regular menu. "Handlebar" is located immediately at the foot of the I-190 Elm St. ramp. Look to your right at the first traffic light (Swan St.) - the pub is right there in the first building. You'll find a Google Maps/Directions window on the pub's website and there's plenty of parking in the lots immediately next door or across the street. Handlebar Pub - 149 Swan St., Buffalo, 14203 - Wednesday February 18th - 7:00 PM - Be There! Written by Tallboy on 23 January 2015 . To Phil DeFranco, Todd Fiore and Mike Moscato, all three of whom were members of the outgoing 2014 Boards and clever enough either not to stand for re-election, or to somehow discourage votes from heading their way, "THANKS" for your past service. Don't forget though, no free pass on trail work once the snow's gone!